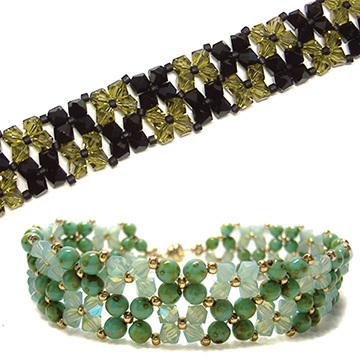 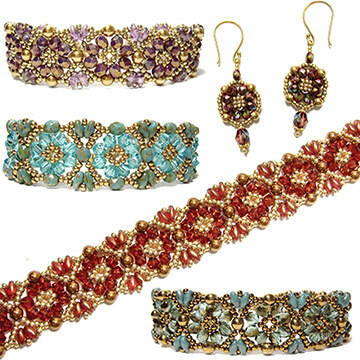 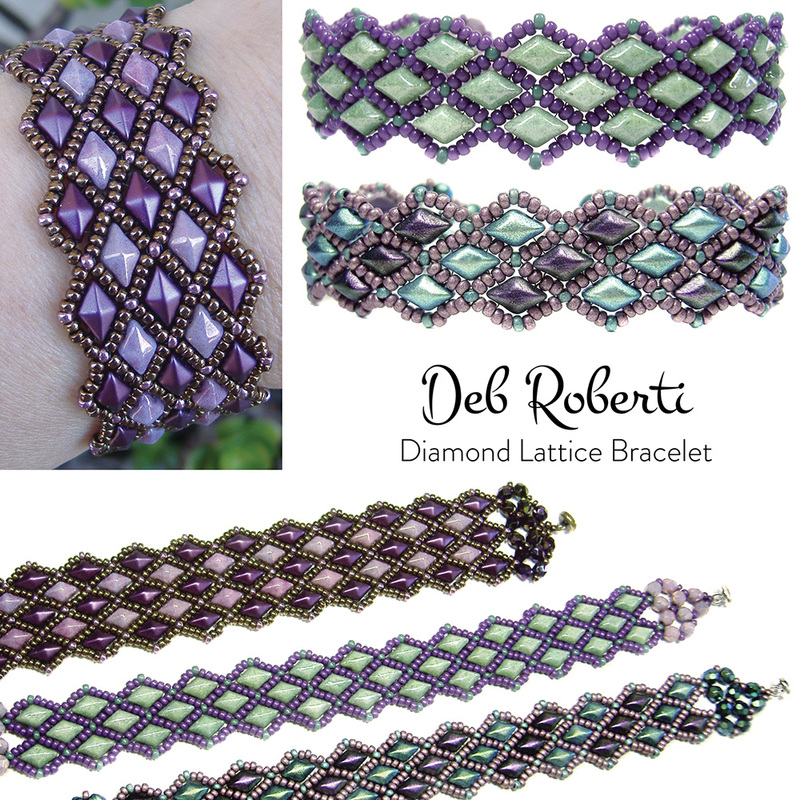 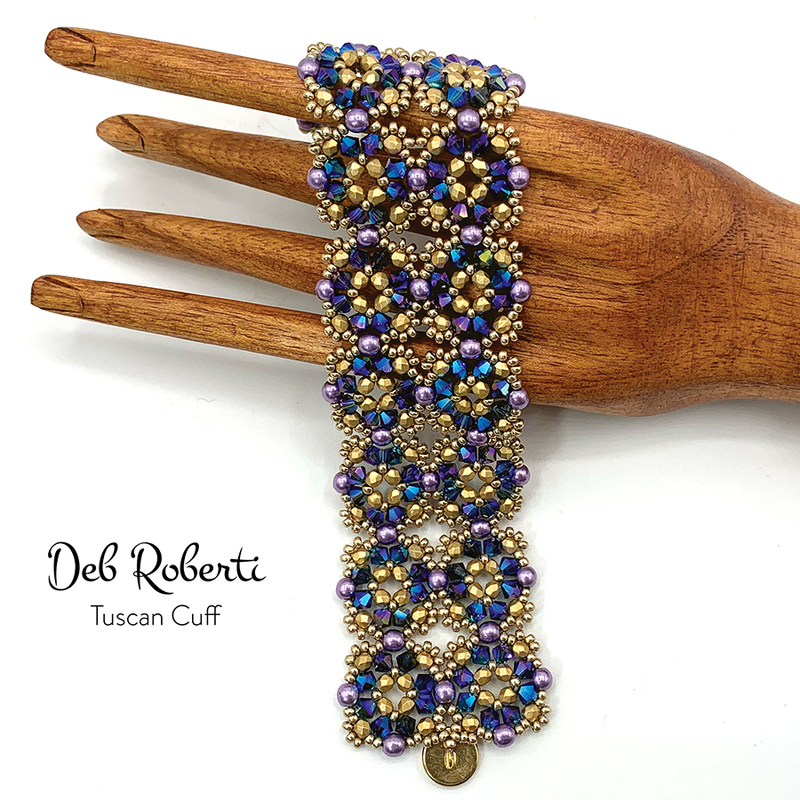 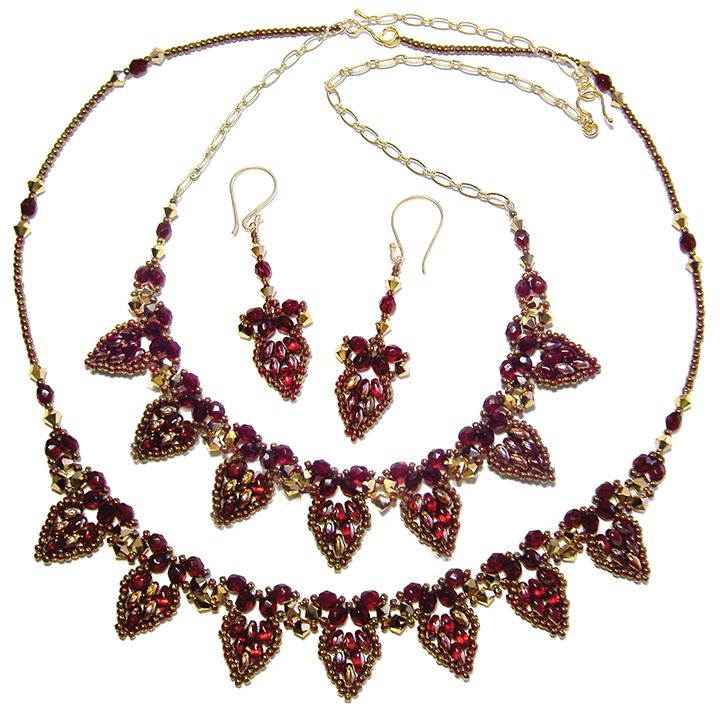 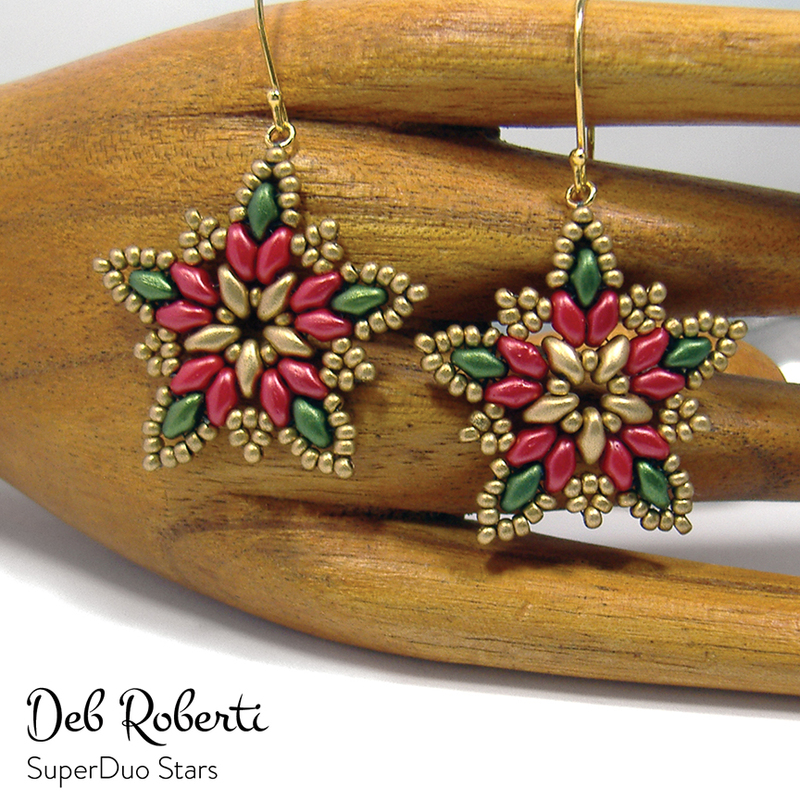 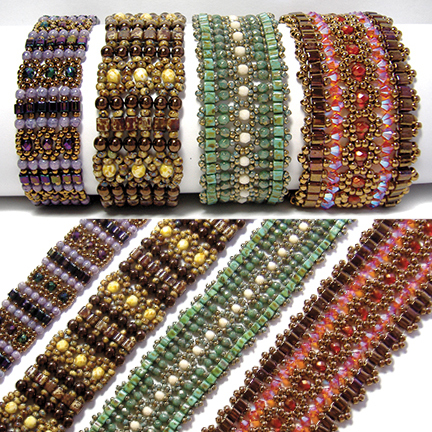 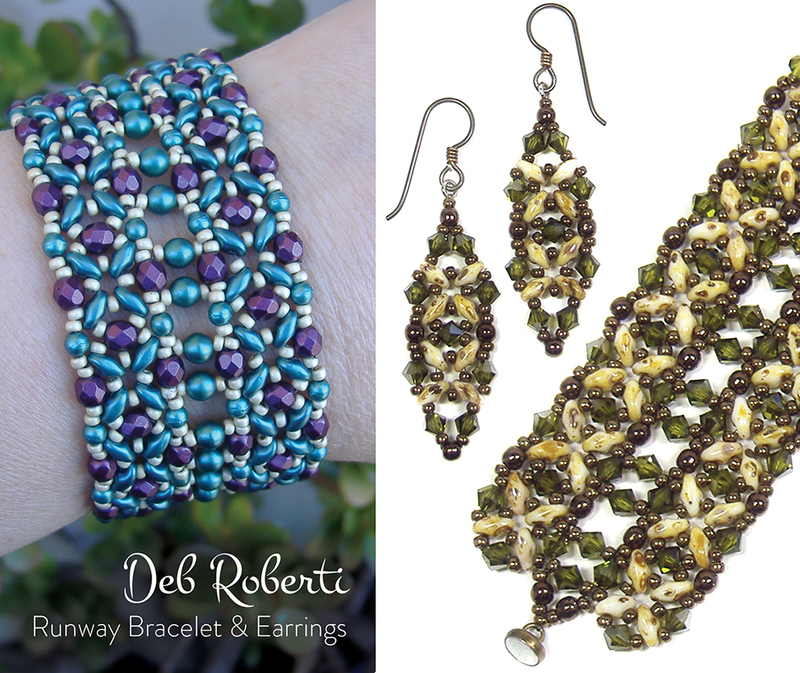 Use a variation of single-needle right-angle weave and netting to create a bracelet and matching earrings from size 11/0 seed beads, SuperDuo beads and any type of size 3mm and 4mm beads. 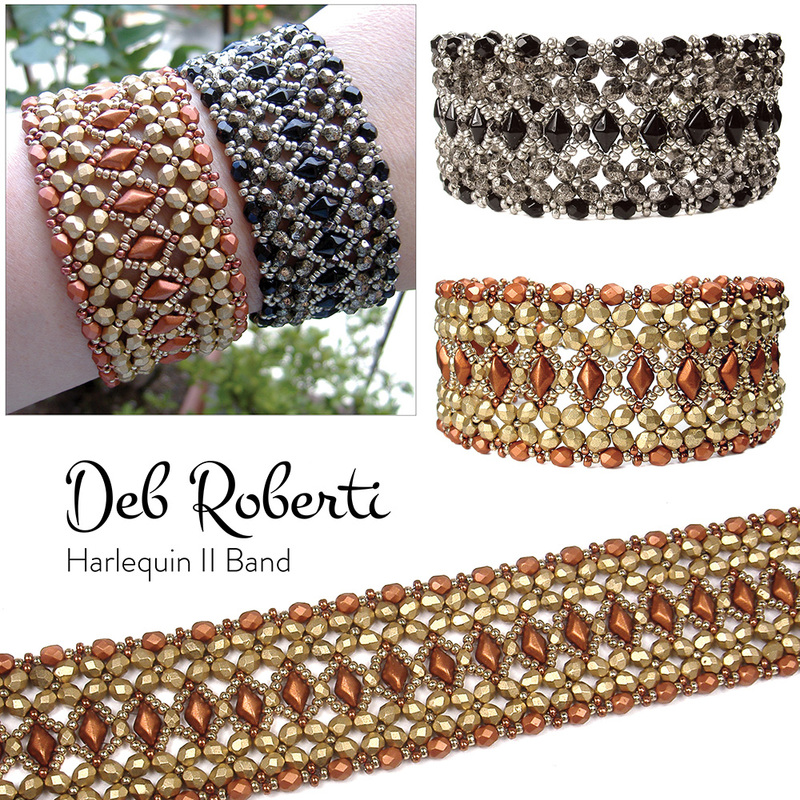 Although the directions are for the wide version of the bracelet, you can also make a skinny band from the initial steps. 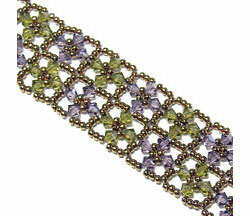 Approx Finished Size: Bracelet: About 1.3 inches wide to desired length. 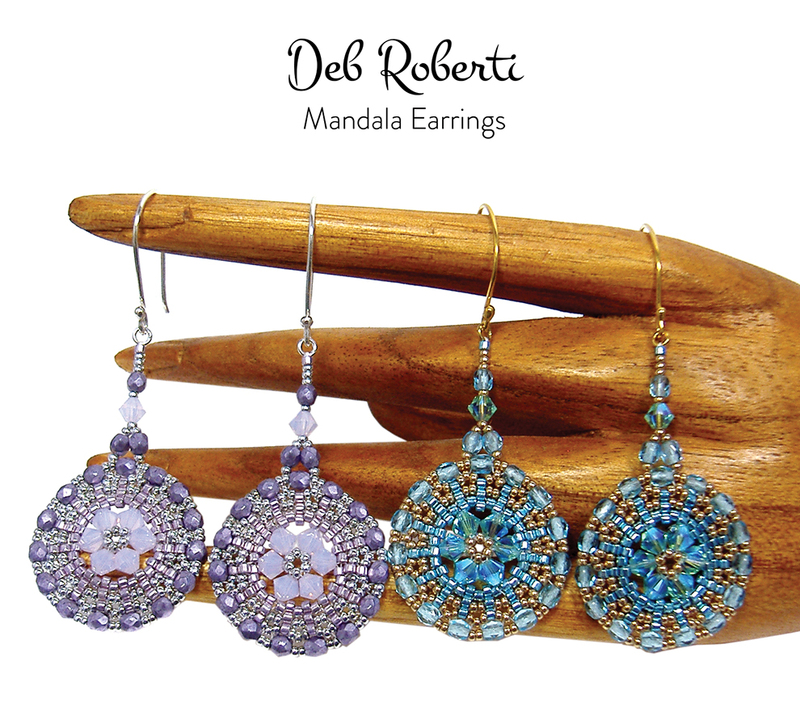 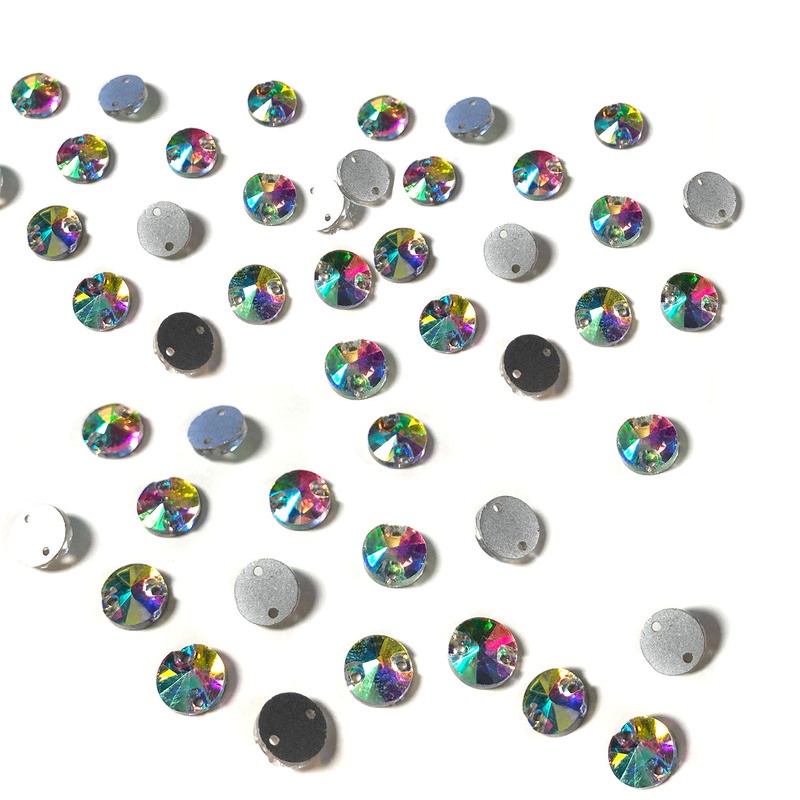 Earrings: About .5 inches wide to 1.5 inches tall, not including findings.